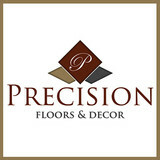 *Authorized Dealer of Shaw Floors* Precision Floors and Décor in Plymouth, Wisconsin is proud to provide residential and commercial customers with the highest quality, custom flooring and window treatments, with a huge variety of products for every style and budget, and the largest retail showroom in the area. Every Precision customer enjoys complimentary, personalized design service, and expert installation by our own highly trained technicians. Visit our showroom today to explore the area's largest selection of natural stone, ceramic and porcelain tile; hardwood flooring; laminate flooring; sheet and luxury vinyl flooring; carpeting; countertops and window treatments. Our experienced and personable staff will help guide you to the perfect products to suit your personal lifestyle and fit your budget. *Authorized Bona Certified Craftsman* Our mission at Anderson Floor Company, Inc. is to provide excellent customer service, perform an outstanding quality of work, and follow the “best practices” of the wood flooring industry. We are a quality-oriented contractor giving our customers individual attention. We use the most recent technological advancements and stay on top of the latest techniques in the industry. Our refinishing is done with the Atomic PDC units by Bona (dust-free sanding) and our finishes are Greenguard Certified by Bona making it so we are able to provide our customers with the best hardwood floor possible. 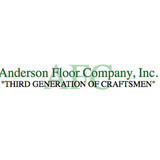 Anderson Floor Company, Inc. has been serving the metro Milwaukee area since 1993 and is a Bona Certified Craftsman, an honor only given to contractors that are handpicked by Bona themselves. We are a local family owned flooring and remodeling business out of Appleton, WI. We are dedicated to providing our clients with quality installation with a "done right the first time" attitude. We educate our clients on the products they are purchasing for their specific needs, and make sure we are meeting the needs of the space they are looking to complete. We want our clients to feel confident about their project and purchases, as well as feel comfortable from beginning to end- as we know from experience it can be a lot to take on. "WE'RE HERE TO FLOOR YOU!" Unique Handcrafted Wood Flooring & Home Products of the Highest Quality – Proudly Made in the USA. Oshkosh Designs decorative inlay is designed to provide property owners with a distinctive inlay design element for new construction, remodeling, or restoration projects. The decorative inlay designs are available in natural stone and multiple species of domestic and exotic hardwoods along with various metals and glass. Oshkosh Designs products are fully customizable, allowing you to create your very own signature flooring. All products in Oshkosh’s product line are masterfully hand-assembled by artisan craftsmen on-site at Oshkosh Designs, and shipped intact, simplifying the inlay process and reducing installation time. Since their beginning in 1994, TK Hardwood Flooring Co. LLC. has grown to a business known for the quality floors it installs. Luke and his crew work with home owners, business owners and contractors to install hardwood floors for new construction or remodeling jobs, in both residential and commercial buildings. Luke and his crew regularly work throughout Northeast Wisconsin. If you are considering the added value of a hardwood floor, contact Luke Suemnicht for a free estimate. Sandmasters’ craftsmen have extensive experience in the areas of traditional hardwood installation, sanding and finishing, recoating and repair. As hardwood flooring experts and members of the community, the staff at Blue Ribbon Flooring is committed to excellence. Because we follow the highest standards, our customers can rest assured that they will be treated fairly and honestly. Our customers know that when they buy hardwood flooring from us, they are getting products of superior quality, along with personal service and expert advice. David and Ryan are ready to help with your flooring questions and assist you in finding the right hardwood floor for your needs. Whether you are a designer, builder, contractor, architect, flooring store or a wood working shop we can find the flooring for you. As members of the National Wood Flooring Association, we adhere to the NWFA's Standards of Professional Conduct. Whether you’re in the market for a single area rug, floor covering or window treatments for the entire home or office, Kohls floor covering is your single source. We offer design consultation, technical expertise, and professional installation. Our excellent reputation for service is equaled only by our strong selection of product, making KOHLS FLOOR COVERING, INC a recognized leader in the floor covering business. G&S Hardwood Floors in Neenah, WI loves to bring out the best in your existing and new hardwood flooring. Our specialty: natural hardwood flooring. Whether you have an existing hardwood floor that needs our special refinishing touch or want to start from scratch with the many options of new hardwood flooring selections, G&S Hardwoods Floors can help make that old floor look new or add the quality to your home that a new hardwood floor can bring. Licensed and Insured, G&S Hardwood Floors has over 15 years of experience in working with installing and refinishing natural hardwood floors. Haven't made a choice on a hardwood floor? Choosing the right floor isn't always the easiest. Call us today to set up a no cost, no obligation consultation, on what hardwood floor may help bring more resell value and upscale feel to your house. Stu’s Flooring is a local family-owned and operated flooring business, which began with two brothers and expanded to numerous family members. Stu’s employs more than 30 people and is continuing to grow after 35 years of excellent service. Stu’s focus on customer service and quality workmanship provided the feedback from customers to Angie’s List. Stu’s has been awarded Angie’s List Super Service Award for achieving and maintaining a “Superior” service rating for over 12 years. Stu’s expanded with a second location in Waukesha in 2001. The window treatment division is located here. After outgrowing their Bay View showroom, Stu’s built their current location in Greenfield in 2004. This location has 6,400 square feet devoted to residential flooring and an upstairs mezzanine housing the Commercial Division of Stu’s Flooring. Stu’s Flooring carries the latest styles, patterns, and colors to complement any decorating style. With over thirty years of experience, reliability and floor covering knowledge, our sales staff can help you select the perfect choice for your flooring needs. Each installation by our accredited installers has a lifetime warranty and will be installed at your convenience. Sales and Installation of Tile - Hardwood - Carpet - Laminate - Vinyl. Conveniently located on College Ave. in Appleton, WI! At Stu's Flooring we carry the latest products designed especially to meet the everyday needs of customers. Our friendly and knowledgeable staff will work with you to select the perfect flooring for your lifestyle. Stop in today and see how we can help you to transform your home. What kinds of services do hardwood flooring installation professionals in Gibbsville, WI provide? Find hardwood floor experts in Gibbsville, WI on Houzz. Search the Professionals section for Gibbsville, WI hardwood flooring installers and dealers or browse Gibbsville, WI photos of completed installations and look for the professional’s contact information.